A Lanham, Maryland, woman was convicted Monday of intentionally hitting her husband with an SUV, killing him. Araceli Alvarez-Mendoza was found guilty of involuntary manslaughter for the August 2015 death of Fernando Fragoso-Duana, 36. Police said Alvarez-Mendoza and Fragoso-Duana got into an argument at their home. Fragoso-Duana then walked away from the home. Alvarez-Mendoza followed her husband in an SUV, drove alongside him for a bit and intentionally ran him over with the vehicle, police said. "She ran him over. I sat there and I watched her, she did that on purpose," a witness told News4. Alvarez-Mendoza tried to pull her husband from underneath the vehicle to no avail, witnesses said. 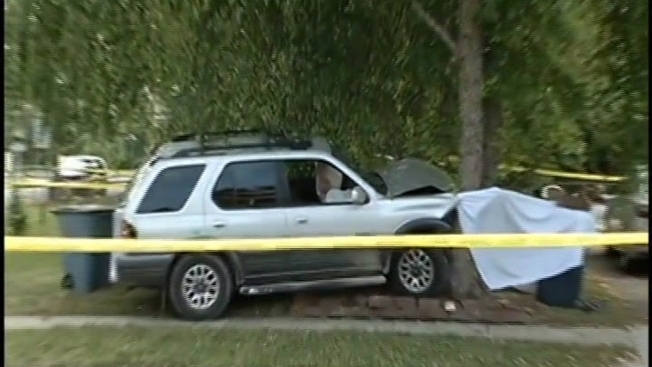 A neighbor tried using a car jack to lift the car off of Fragoso-Duana, but Fragoso-Duana was dead when police arrived. Prosecutors charged Alvarez-Mendoza with first- and second-degree murder. She was convicted on the lesser charge Friday evening. Alvarez-Mendoza will be sentenced Sept. 29. She faces a maximum of 10 years in prison.